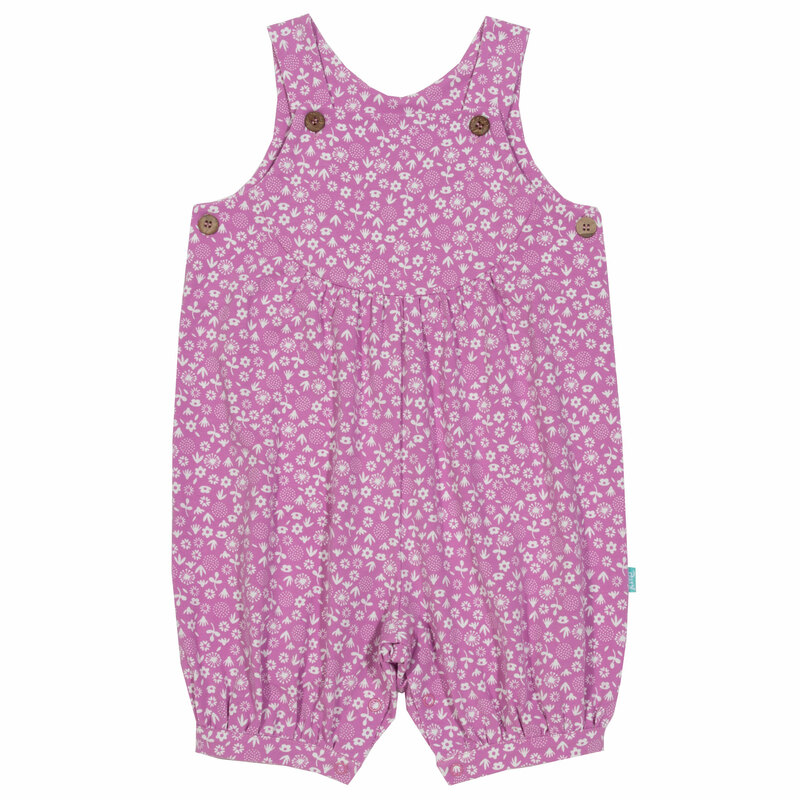 Pretty as a picture, this all-over ditsy print romperee (a cross between a romper and a dungaree, hence the name!) 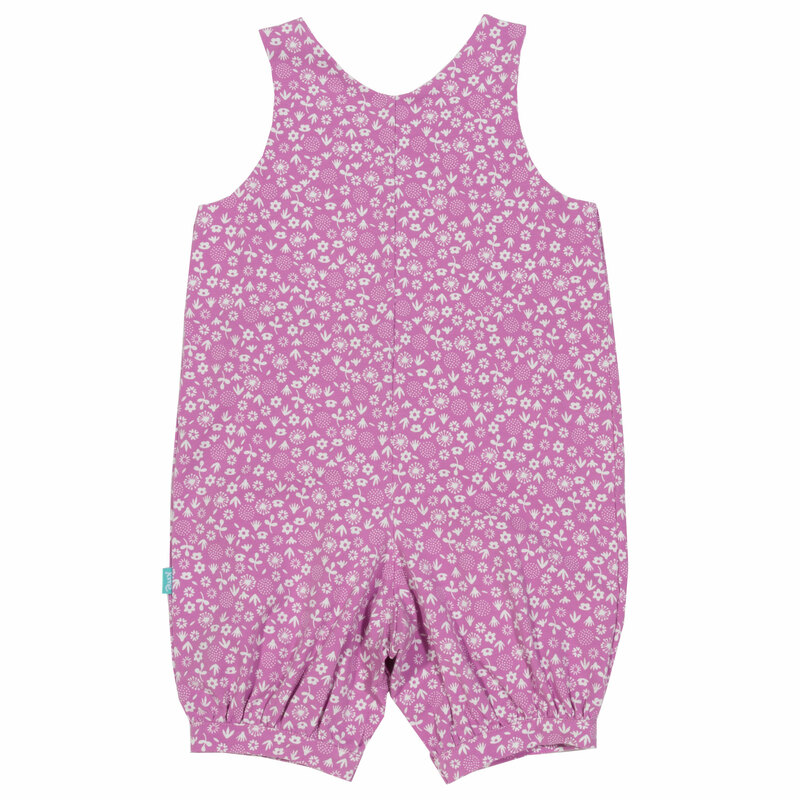 has beautiful coconut buttons and soft gathering details at the yoke and leg cuffs. 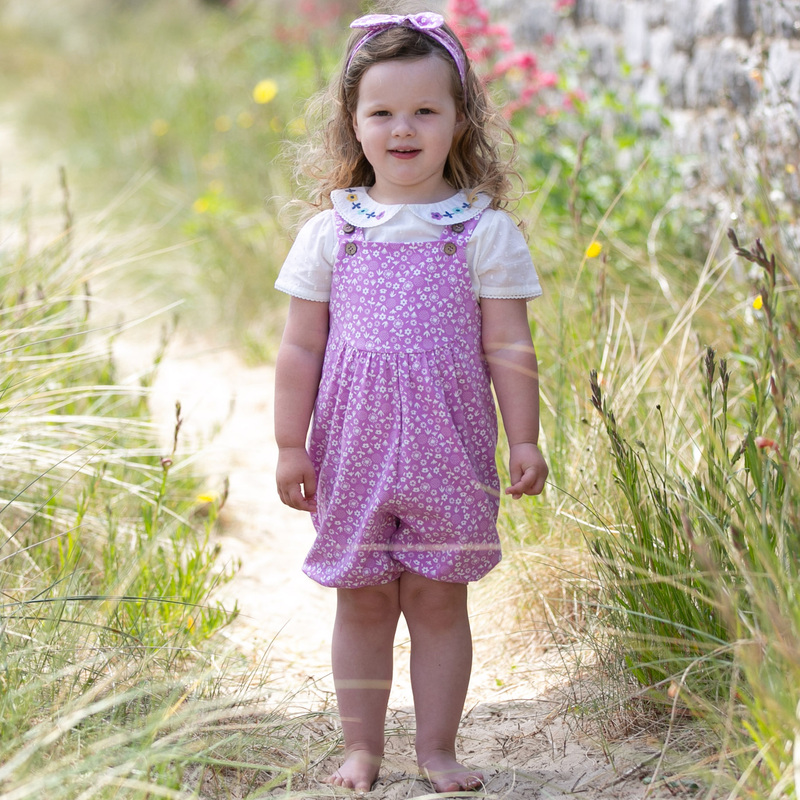 Made from organic cotton stretch jersey for all day summertime comfort.